The Bienfang story began with humble roots in a loft in New York City in 1926. 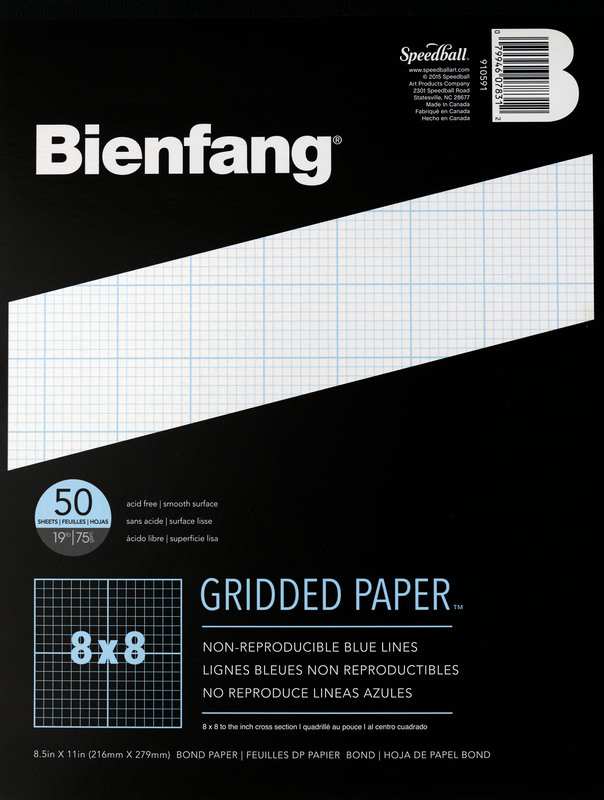 Since that time, Bienfang has developed a rich history and strong tradition for producing quality art papers for artists, educators, students and designers. 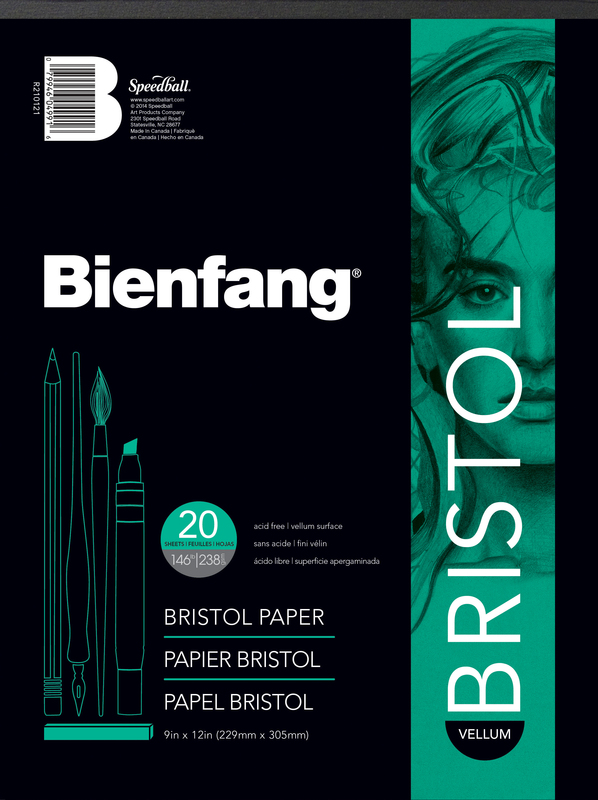 Led by an impressive offering of fine art papers, sketching & tracing rolls, calligraphy pads and watercolor papers, Bienfang is committed to offering excellent paper without a premium price. Wire-bound sketchbook containing 100 sheets of lightweight, general purpose paper (50lb / 81gsm). Great for learning new techniques with pencil and pen. Acid-free, this pad is available in 5.5”x8.5”, 8.5”x11” and 11”x14” sizes. Contains 30 sheets of white, heavyweight (70lb / 114gsm), acid-free paper. 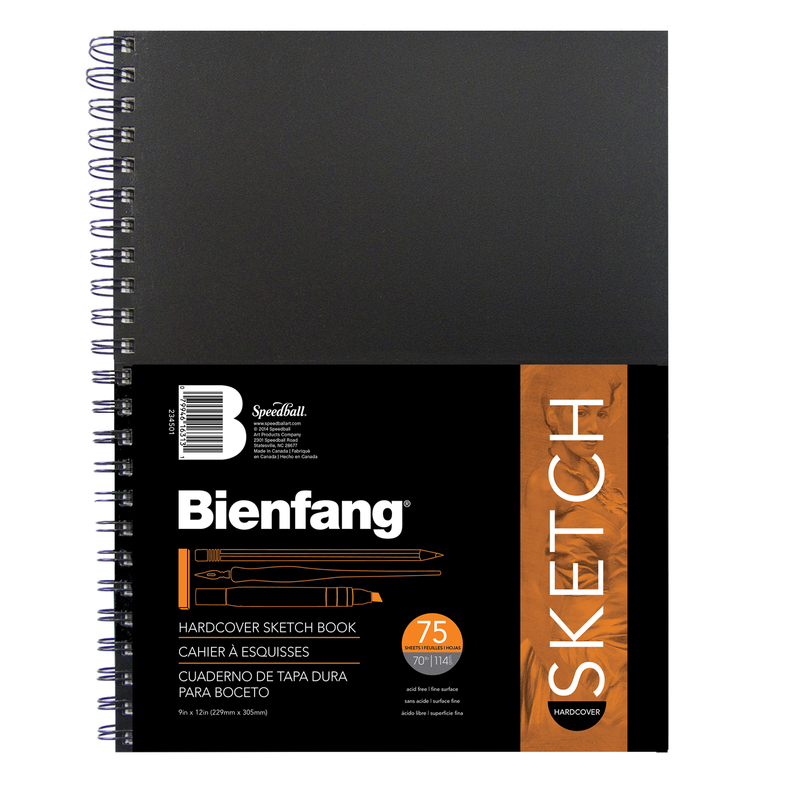 Medium surface texture stands up against erasing and scarping, and is ideal for techniques utilizing pencil, charcoal, or pen & ink. Available in 9”x12”, 11”x14” and 18”x24” sizes. 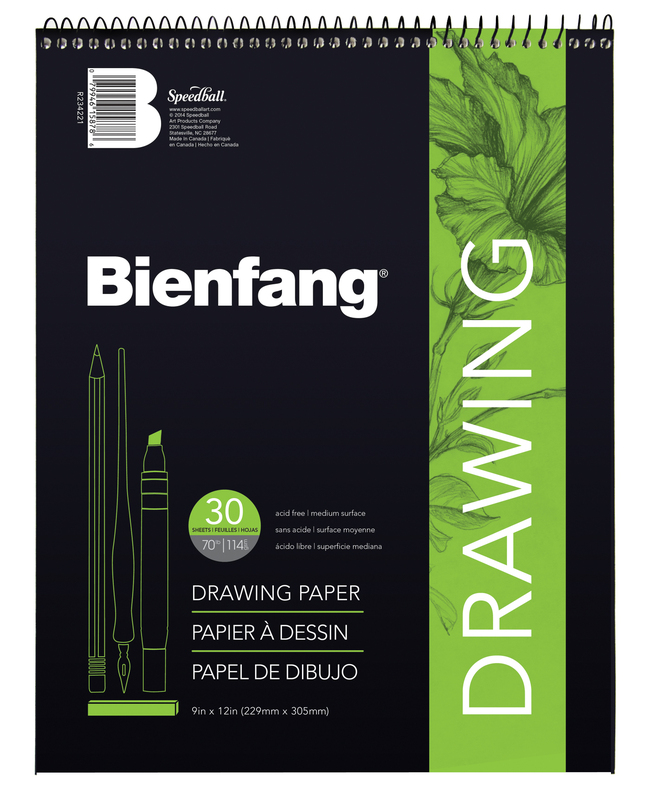 Perfect for teaching all dry media techniques, this lightweight (55lb / 82gsm), acid-free, white paper has a light tooth and contains 50% recycled fibers. Available in 9”x12”, 11”x14” and 14”x17” sizes. Available in two surfaces (vellum and smooth), these glue-bound pads contain 20 sheets of 146lb (238gsm), acid-free paper. The fine, vellum surface is ideal for use with crayon, colored pencils, charcoal and oil pastels, while the smooth surface is excellent for use with pen & ink or markers. Available in 9”x12”, 11”x14” and 14”x27” sizes. 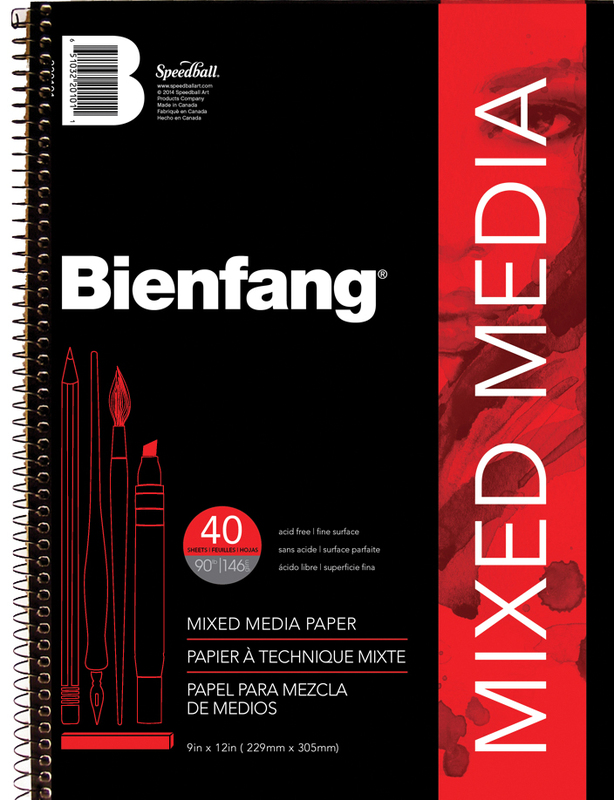 The Bienfang Mixed Media Pad is an excellent choice for experimenting or practicing techniques using multiple media including watercolors, acrylics, pen & ink, pencils, markers, pastels, collage and more. 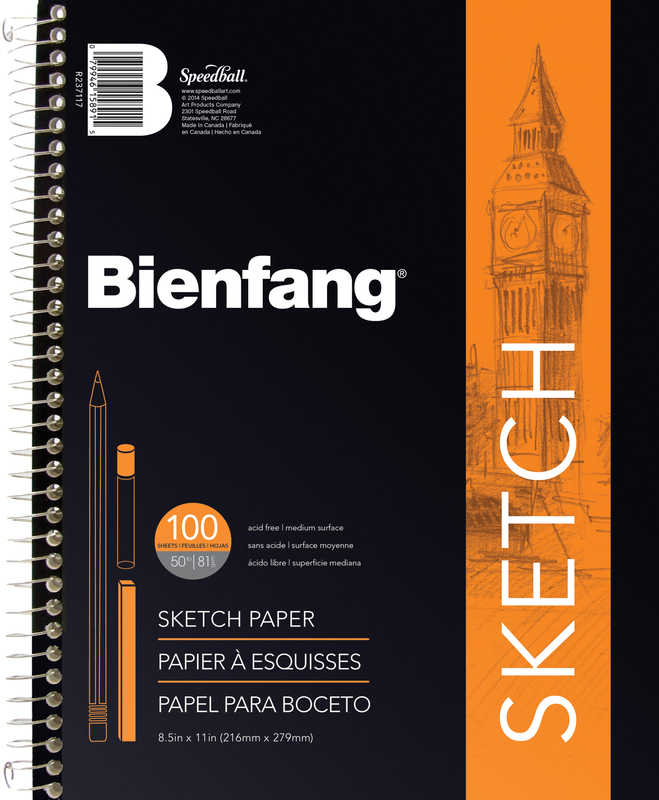 This medium-weight, fine surface paper accepts light washes well and withstands erasing and the sketchbook format makes it easy to take it anywhere. Features 90lb (146gsm) paper in 5.5”x8.5”, 9”x12”, and 11”x14” sizes. Made from 100% rag, this ultra-smooth paper is highly translucent and will not bleed. 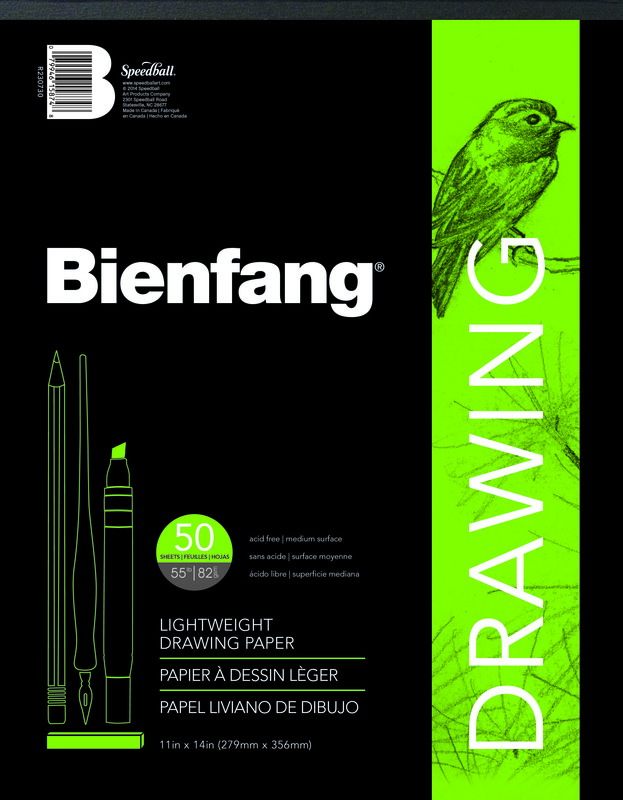 Retains true color with both permanent and watercolor markers. Glue-bound pad contains either 50 or 100 sheet counts of 13.5lb (51gsm), acid-free paper. Available in 9”x12”, 11”x14”, 14”x27” and 19”x24” (50 sheets only) sizes. 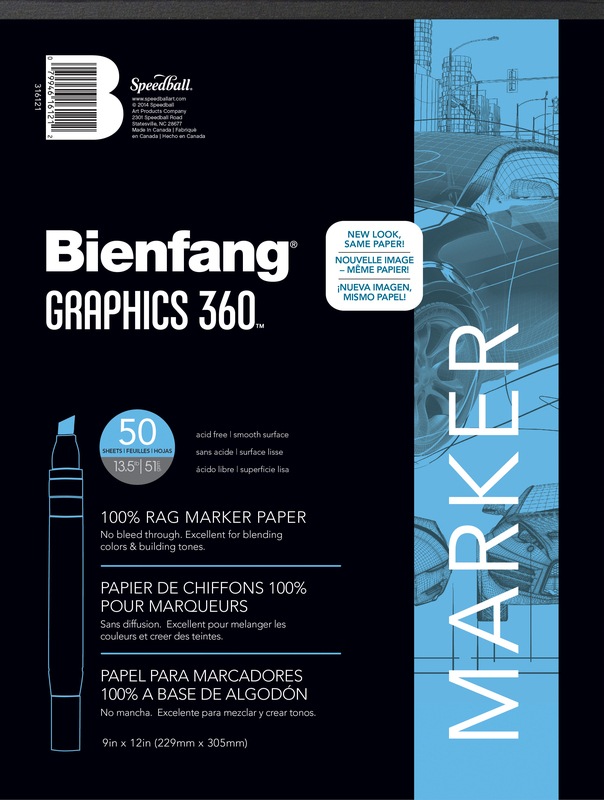 reat for designing, drawing and pattern-making, this smooth surface texture paper is divided with non-reproducible blue lines that make for easy measuring. Each glue-bound pad contains 50 sheets of 19lb (75gsm), acid-free paper. Available in three grid sizes (4x4, 8x8 and 10x10) in 8.5”x11”, 11”x17” and 17”x22” (4x4 grid size only) sizes.